Hi, I'm Saori 我的保姆手册 is a new romantic drama that tells of how the AI personnel, Saori, becomes a full-time nanny to a celebrity, Su Dahao. 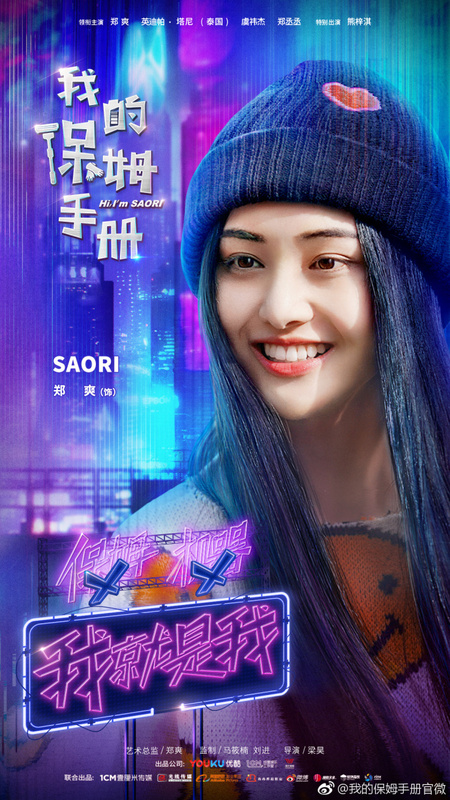 It stars Zheng Shuang, God Itthipat Thanit, Zheng Chengcheng and Yu Yijie. Saori (Zheng Shuang) bested other contestants to win the opportunity to become Su Dahao's full time nanny. 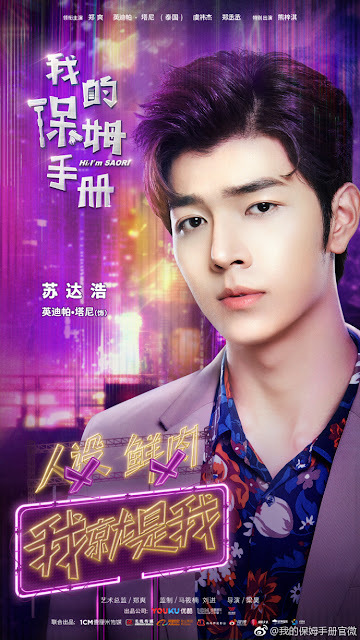 Su Dahao (God Itthipat Thanit) is the number 1 celebrity and being handled by his agent, Lan Lan (Zheng Chengcheng). With the help of Saori, Su Dahao overcomes many obstacles and eventually, develops feelings for her. Su Dahao is notorious for having a bad temper towards Saori. His enemies know about this so they exploit the chance to get Su Dahao in trouble. With the help of Saori and her sister Yeon Yeon, Su Dahao's brother Su Xiaobei (Yu Yijie) who's an expert hacker and Lan Lan's PR skills, they group tries to avert a crisis. 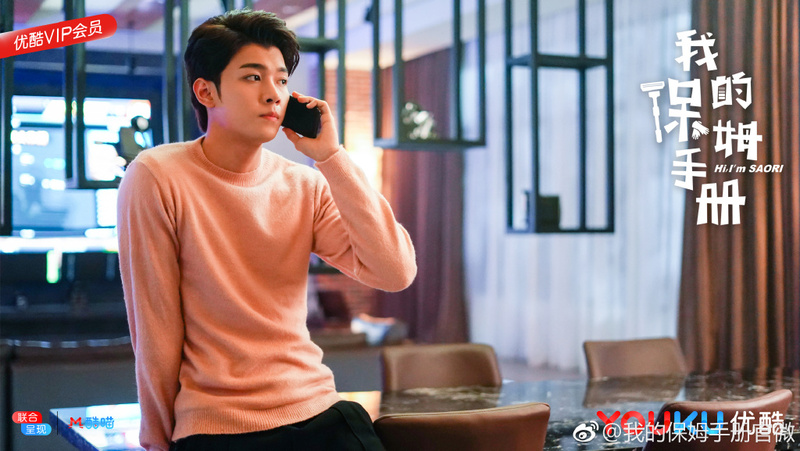 Su Dahao went overseas to study but had to return home due to a family feud. He is determined to pursue his showbiz career in the country as it was his father's dying wish but he is already a well-known top star. When he discovers that Saori is not exactly a real person, will they still have a happy ending? I find this weird. I am not quite onboard with the AI and human falling in love part and that seems to be the biggest mystery of the story since the AI part of it is not clearly explained. In my head, Saori is something like Vicky from Small Wonder. Correct me if I am wrong but isn't Ai just another robot? I find the premise a little bit absurd and interesting at the same time so I am not sure if I will watch this. Haha I am very interested to know the depth of her AI-ness before I get invested in the drama. Zheng Shuang..oh boy..cue the pouting and blank wide eyed stares. Yeah I’ll skip. LOL! Described my feelings exactly! 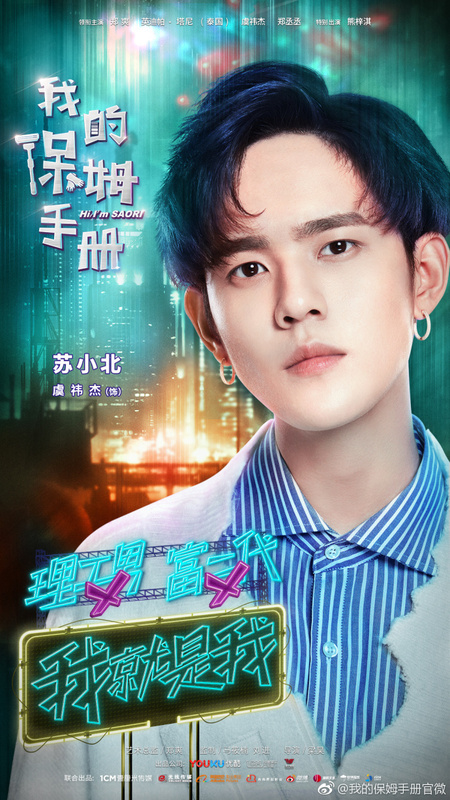 That's why I dropped Love 020,Cage of Love and I'm not planning to watch Cry Me A Sad River (thought I love Ma Tian Yu to bits!) because I'm gonna see that quote and quote: "pouting and blank wide eyed stares." Love 020 one of the very relaxing and sweet drama. 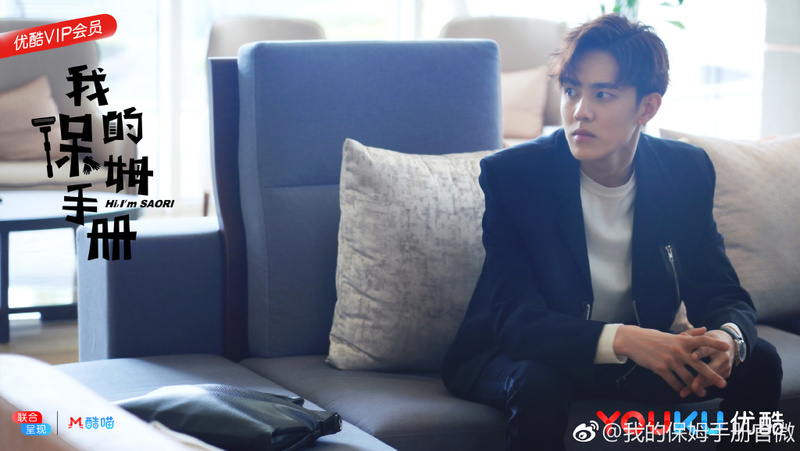 I also very enjoyed watched it since the lead are both gorgeous and you cannot wait to watched any scene related to them even the storyline was plain....to be honest I also felt exactly the same as you.. I found she quite stiff and unnatural.. Something wrong somewhere with her acting..am I the one who observed this? Sorry(probably I need to watch others drama of her).. The goddess cute faces she have really doesn't match her acting talent..she probably not suitable to act cute..mybe strong character will suits her.. Hope she will doing well in the future..
i dropped this drama after 2 ep. the both lead roles male and female are very bad on acting. zs tried to act cute and cheerful but looks stiff and blank. they do the dubbed very bad. especially for the lead male. the voice and mouth not match each other.